When we talk about movies, we always remember the stars, scenes, stories, awards, and directors. In other words, we tend to recall people but not the props that we saw in the movie like trucks. Personally, my approximation is that seventy percent of movies we have seen in our lifetime have scenes involving trucks particularly in action, suspense, and thriller movies; even animated films have trucks in some scenes. What are the memorable trucks in the movies? Here are my choices. Who would have thought that scenes from a truck could be sentimental too? In this movie, Sylvester Stallone’s character was on a road trip with his son. 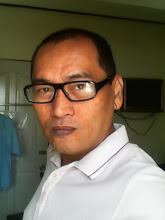 Along the way, they were able to uncover each other’s feelings and develop a deeper father and son relationship. Personally, the truck in this movie symbolized how much emotion a man can express when it comes to his love for someone else. It is quite rare to see a movie about a truck having a name. Very often, cars in movies have names like Herbie, The Love Bug. 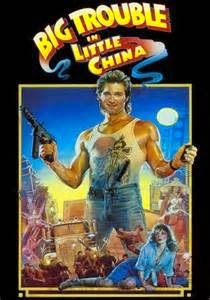 In this movie, the truck’s name was printed as ”Pork Chop Express.” I find the name of the truck amusing since it connotes a pig and Kurt Russell was no pig in this movie. He was kind enough to help his buddy save his girlfriend from Chinese underworld kidnappers. What happens when a group of young high school Americans escapes from Russian invasion using a dilapidated truck and the radiator ran out of water? This movie was not only famous for being the first movie to be issued with PG 13, it also landed in the Guinness Book of World Records as the most violent film of all time at that point. It had movie audience giggling when the character of the movie Danny played by Brad Savage urinated on the radiator to load water. It was a funny scene where guns and bullets lorded in almost every scene of the movie. 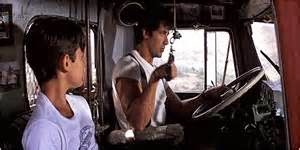 Usually, lead actors drive the truck, example; Stallone in Over the Top and Russell in Big Trouble Little China. Reynolds was not driving the truck here but his buddy Snowman. 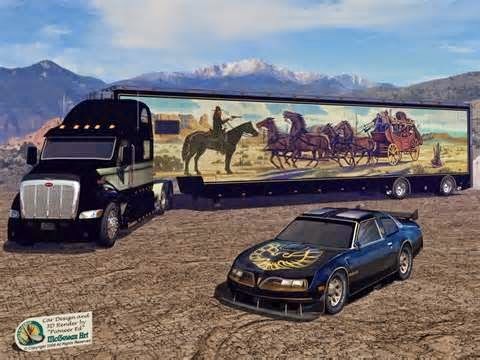 Burt Reynolds drove a Pontiac as decoy for the truck so that “Smokey” (slang used for highway patrol) won’t bother it. The truck in this movie was memorable because of the bet on transporting Coors beers. A scene from this movie made me a careful driver and be always on lookout for any flatbed trucks and avoid it while driving along the highway. 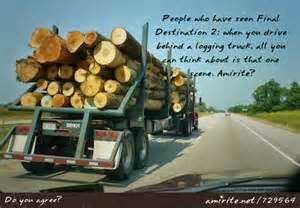 In the movie, the cord that held tightly around all the logs snapped and the logs fell down from the truck, causing mile long accidents and deaths. Just like the actors and actresses in movies, trucks can amuse, horrify, and make you emotional or sentimental, or even cautious. What about you? 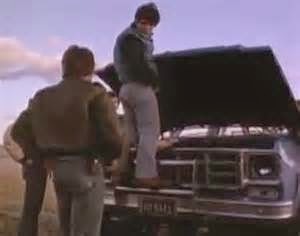 What are your favorite and memorable trucks in movies?